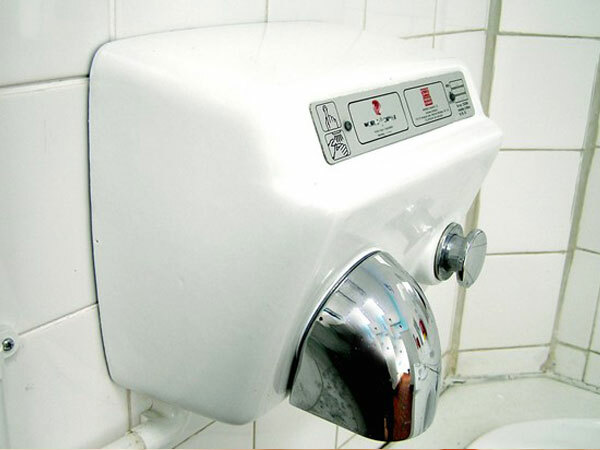 Hand Towels or Air Dryers? When you’re in a public restroom, do you go for the paper towels or the air dryer after you wash your hands? To get your hands cleanest, choose the towels. A study in the Journal of Applied Microbiology put each drying method to the test and revealed that rubbing hands thoroughly dry with paper towels may give people the best chance of walking out of the restroom with germ-free mitts. The researchers found that no matter which method you choose, you won’t be rid of germs unless you dry your hands thoroughly. Germs love water. It’s their ideal medium for multiplying and getting around. Putting in the time and effort to really dry hands completely will mean way fewer germs. And drying hands vigorously with a paper towel bested rubbing them dry under a blower when it came to germ levels. It seems the skin-on-skin friction created when we rub our hands under the blower somehow releases more germs that live deep in our pores. If you want to use the blower because it’s greener, don’t rub your hands. Hold your them still, palms up, and leave them there for at least 30 seconds — but longer is even better. Whatever you do, don’t give up and wipe them on your jeans or shirt sleeves. You’ll just re-contaminate your hands. And don’t leave them wet.